2016 is here, and the TOTO Japan tour promoting their latest album “XIV” is right around the corner, scheduled for March. Each and every TOTO show in Japan has brought the best quality of music and entertainment to the fans, and the Japanese audience knows that this time won’t be an exception either. 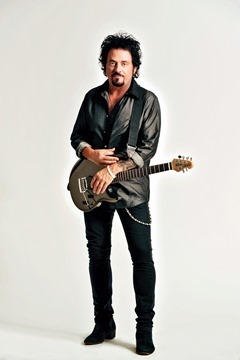 Steve Lukather sent us his annual new year message, and also talked to us about the upcoming Japan tour and his plans for 2016! 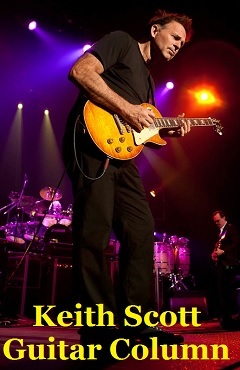 Dweezil Zappa has just released his long awaited new album “Via Zammata’”. 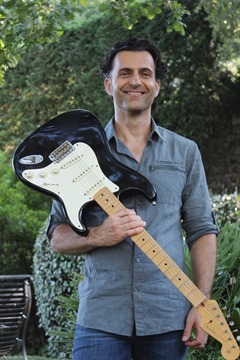 The new album showcases Dweezil Zappa’s talent not only as a mere guitar player, but also in the field of songwriting, arranging and producing. The album definitely appeals to a wide variety of listeners. The album also includes a song co-written by his father, Frank Zappa, and should be a pleaser for the Zappa fans as well. Check out Dweezil Zappa talking to MUSE ON MUSE about his latest album “Via Zammata’”!! 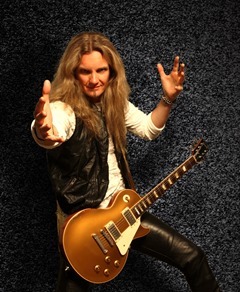 Joel Hoekstra of WHITESNAKE has just released his new solo album “dying to live” which is a collection of melodic hard rock tunes featuring guest musicians Russell Allen of SYMPHONY X, ex YNGWIE MALMSTEEN’S RISING FORCE and current SOTO singer Jeff Scott Soto, former BLACK SABBATH, DIO drummer Vinny Appice and ex BLUE MURDER bass player Tony Franklin. The album displays not only some great guitar performances by Joel, but also proves Joel’s talent as a songwriter with a variety of hard rock tunes ranging from soft and melodic to hard and heavy. Check out Joel talking to MUSE ON MUSE about his new album! 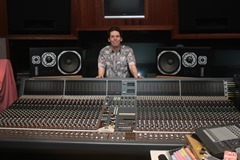 Producer and session guitar player Jay Graydon has created countless songs and albums, not only influencing millions of listeners but professional musicians as well. Jay has recently released the “Jay Graydon All Stars 20th Anniversary Edition” DVD featuring the Jay Graydon All Stars shows with Joseph Williams, Steve Porcaro, Bill Champlin, etc. from 1994 to 1996 held in Japan, Sweden and Norway. 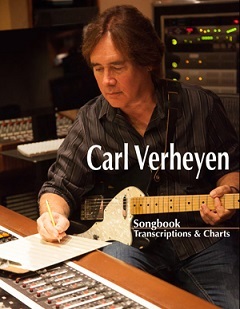 The new 4-disc DVD also includes footage such as interviews with the All Stars band, a birthday party jam session with Steve Lukather, Jim Cox, Sherwood Ball, an in depth commentary on the guitar solo from Steely Dan’s “Peg”, making the DVD a must for the fans. Jay Graydon took time to talk to MUSE ON MUSE about the DVD, as well as some tips on how to succeed in the industry as a producer and studio guitar player. 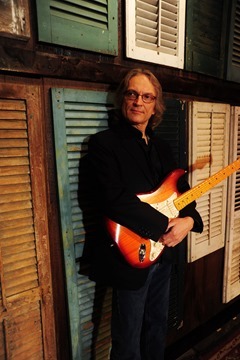 Sonny Landreth is known for originality on the guitar with his detailed techniques and expressions using the slide bar, along with his dynamic and powerful performance on the instrument. 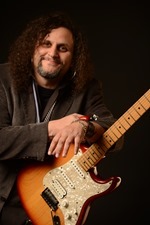 Added to his trademark slide guitar techniques, Sonny also shows a great talent as a singer and songwriter, allowing him to continuously deliver quality music over the years. His new album “Bound By The Blues” is a tribute to his blues heroes, featuring a brilliant mix of blues covers and new originals. Sonny talks to MUSE ON MUSE about his new album. 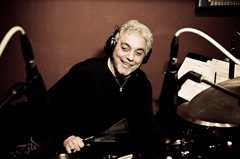 Paul Simon, Eric Clapton, Peter Gabriel, Stevie Wonder, Chick Corea…the list goes on and on for the countless artists Steve Gadd has shared the stage with and recorded for. Steve is definitely one of the best drummers in the world today. Along with his musical friends Michael Landau (guitar), Larry Goldings (keyboards), Jimmy Johnson (bass), and Walt Fowler (trumpet & flugelhorn), Steve Gadd released a new album titled “70 Strong” commemorating his 70th birthday. The album displays a superb band ensemble by a group of world-class musicians, along with Steve Gadd’s detailed and dynamic drumming. Steve Gadd talked to MUSE ON MUSE about his new album “70 Strong” and his approaches to drumming. American rock instrumental trio POINTS NORTH has released their self titled second album, featuring impressive melodic tunes such as “Northstar” and “Child’s Play”, which is a must for all rock instrumental fans. 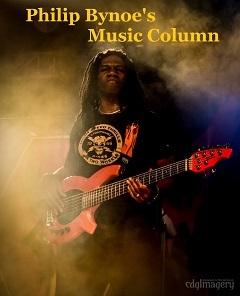 POINTS NORTH consists of guitarist Eric Barnett, along with ex-WHITESNAKE bass player Uriah Duffy and drummer Kevin Aiello. The instrumental trio is known for its “melodic guitar-driven instrument music”, as Eric Barnett puts it. Eric Barnett was a finalist for Guitar Player Magazine’s 2008 Guitar Superstar Competition, judged by well-known players such as Andy Summers from THE POLICE, Joe Satriani, Steve Vai, Elliot Easton from THE CARS, and George Lynch, in which Eric Barnett’s extraordinary guitar technique was well received by the judges as well as the audience. Eric Barnett took time to talk to MUSE ON MUSE in depth about his musical background, about how POINTS NORTH was formed, and about the new “Points North” album. 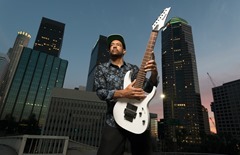 Guitar virtuoso Tony MacAlpine has just released his new studio album “Concrete Gardens”. 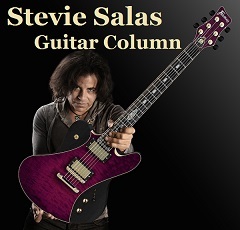 Tony came out in the late 80s as one of the new generation shredding guitar heroes along with Paul Gilbert and Vinnie Moore. Later Tony also went on to take part in the Steve Vai Band, as well as the CAB project with Bunny Brunel and Dennis Chambers, broadening his musicianship and extending his career into a wider field in the music world. 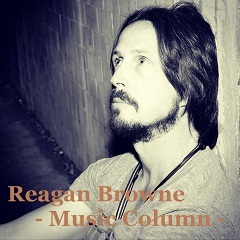 His latest studio effort displays a fine collection of tunes including various musical aspects from hard edged to melodic and dramatic, creating an excellent blend of music. The album not only shows Tony’s highly skilled guitar performances, but also proves his high ability of songwriting. 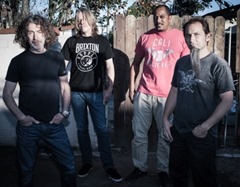 MUSE ON MUSE asked Tony MacAlpine about his new album “Concrete Gardens”. Simon Philips, one of the world’s most popular drummers, has fascinated audiences worldwide over the years, performing with countless legends such as Jeff Beck, The Michael Schenker Group, The Who, and also fulfilling duties as the drummer of TOTO after the death of Jeff Porcaro. 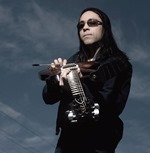 Simon not only fascinates the world with his extraordinary drum techniques, but also displays his talent as an established composer, producer and recording engineer in the music industry. Recently, Simon has also built a new fan base in Japan as a member of the Hiromi Uehara Trio Project. Simon also leads a group of top-notch musicians, displaying his excellent techniques on the drums in a collection of some high quality hard fusion/jazz rock tunes. This project is known as PROTOCOL and they have just released their latest studio effort titled “Protocol III”. MUSE ON MUSE was able to talk to PROTOCOL leader, Simon Philips, as well as guitar player Andy Timmons, who has added an energetic feel to the music with his excellent guitar performances. Check to see what Simon and Andy have to say about “Protocol III”.